Cooking Like A Pro Has Never Been Simpler. Want to get professional barbecue results without spending all day adding fuel, fussing with air vents, and checking temperatures? Now you can. Traeger pellet grills give you the ability to smoke competition-level barbecue without having to babysit your outdoor cooker. 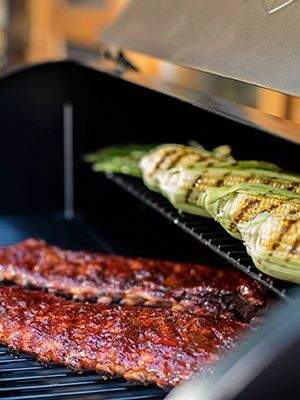 Traeger's fuel control system takes all the guesswork out of great barbecue. The auger at the bottom of the fuel hopper pushes hardwood pellets into the firebox at a steady rate, giving you precise temperature control. Just set the temperature on your Traeger, and start cooking. Choose from a wide variety of hardwood pellets for the perfect flavor profile. 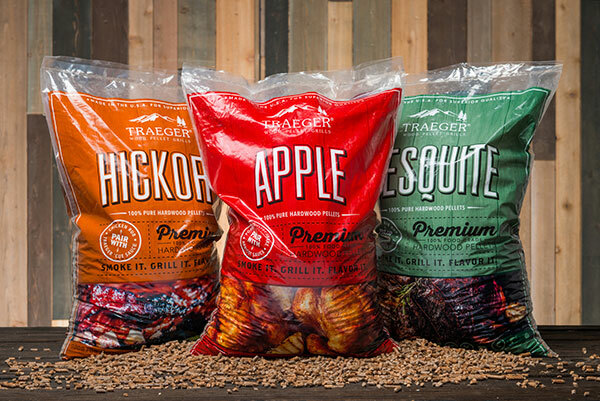 Use Traeger’s applewood pellets for a mild, sweet smoke that goes great with pork or chicken. Cooking beef? Use the hickory or mesquite pellets for a more robust smoke flavor. Baking a pie? Try the cherry pellets for an interesting twist. View Traeger’s complete hardwood pellet guide . Every Traeger is built to last. But a lot can happen in a lifetime. Luckily, replacement part are easy to find, and the grills are easy to upgrade. Learn more on Traeger's website . 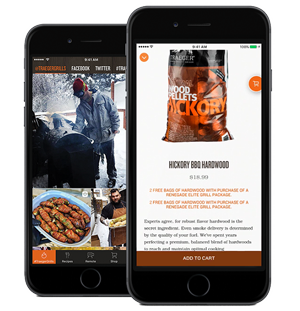 Now you can Traeger anywhere with the new WiFire app. Access the entire recipe archive, connect to the Traeger cooking community, and more. With the new premium Traeger Timberline series, you can control the temperature and smoke time from your smartphone. 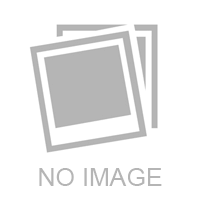 Learn more about the WiFire app and how you can start Traegering today! Ready to see a popular recipe? Get ready for your mouth to water! Find more recipes on Traeger's websiteYouTube channel. You can also subscribe to Traegar's newsletter and receive new recipes every week. Visit the Traeger website for more information.